Welcome back to another week of Mom's Library. Each week I cohost the Mom's Library along with True Aim. This linky party is filled with parenting tips, activities for kids, stories, crafts, recipes, and more! Plus, each week we host a weekly giveaway. Be sure to subscribe so you don't miss the next Library! Follow the Mom's Library Pinterest Board to see all of our featured posts. Check out last week's Mom's Library for Fourth of July crafts, activities, and books for kids. July is right around the corner and the Back-to-School sales will start before we know it. It's true that summer just began, but it's important to keep those school skills fresh for the return to school that is looming over us. 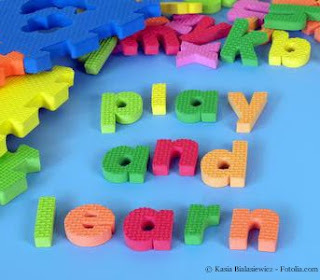 For early literacy learners, letter learning is one of those skills. 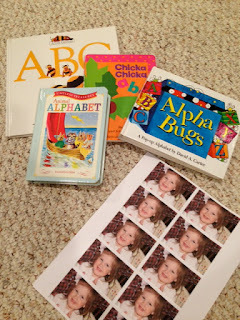 The bloggers who linked up to Mom's Library last week, showed us that letter learning doesn't have to be a bore. 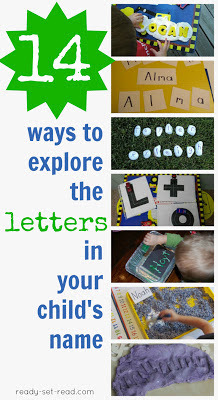 There are lots of fun ways to learn letters. 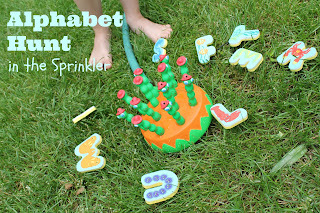 From games in the sprinkler, sensory bins, alphabet books, and hands on learning, I'm showcasing the best letter learning posts from Mom's Library last week. 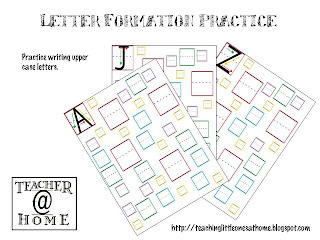 Letter learning is a topic I love to explore. 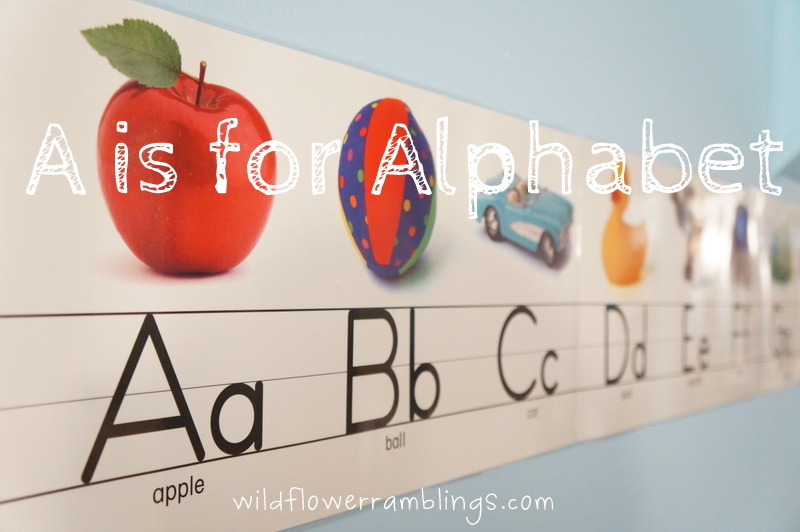 I've compiled a list of 14 ways to explore the letters in your child's name. 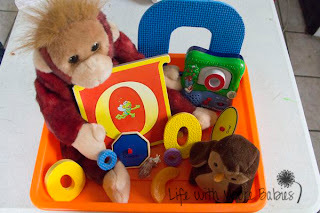 I'm super excited about today's giveaway because it has been one of my boys' favorite summer learning activities. They've been spending their computer time using ABCMouse.com. I had seen the commercials for it, but wasn't sold on the product until my sister mentioned how much her daughter loved ABC Mouse. Now I am the mom at the ball fields telling the other moms about the greatness of ABC Mouse. 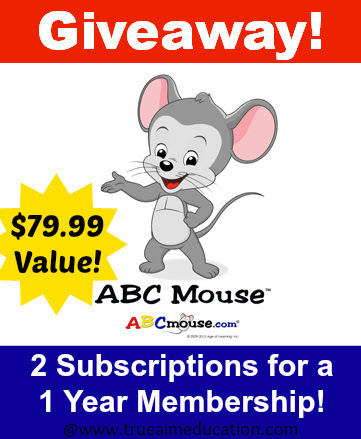 You can read True Aim's review of ABC Mouse and enter to win a year subscription for up to three kids!! Thank you for featuring my post!! We love ABC mouse too! Wow I would love to try out ABC mouse - it looks amazing! I think the abc mouse characters are very cute and appealing, my daughter would enjoy it ! Hi my raffle copter entries keep disappearing so I keep redoing them...I did the three main ones plus the extra Facebook likes...I think it should be 6 entries but if it is more, please delete the extras. Great giveaway! I'm sure my pre-k child would enjoy it.